Gwan Alisantosa and Guillermo Uribe from the Knights of Columbus presented a check for $5,002.40 to Milpitas Unified School District in support of the Special Education program. 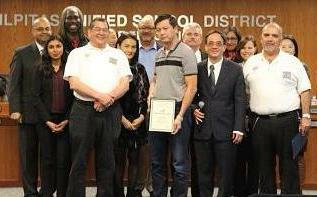 The organization also recognized and thanked Ocean Supermarket for their many years of support. Trustees and Superintendent Cheryl Jordan recognized Russell Middle School students Jeff Nguyen, Jasmin Le, Paula Sipin, Vanessa Sun, Viveca Tang, Jacky Thai, Shania Bognot, Elvis Nguyen, Syndey Hoang, and Grace Chung from Milpitas High School. The group began a community service project in collaboration with Michael Mooney, Director of the San Jose Community College Milpitas Extension. 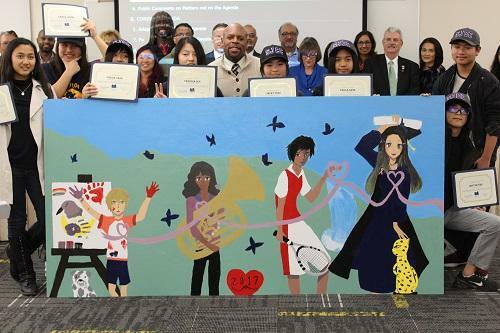 They created a mural, titled "Escuela Parkway Pathway to the Future", which represents a connection between the Escuela Parkway schools - Pomeroy Elementary, Russell Middle, Milpitas High School, and SJCC Milpitas Extension - painting a lavender ribbon that signifies a bright future along each step ahead. Trustees and Superintendent Jordan recognized Milpitas High School musicians for auditioning being accepted into some of the finest honor bands and orchestras in the state and country. The following students were accepted into the Santa Clara County Honor Band: Ellie Jan, Sachin Kulkarni, Christopher Pinney, Phylils Sern and Michael Nguyen. Accepted into the All-Northern California Honor Band were John Yu and Ankitha Rajesh while Kristy Le joined All-State Wind Symphony, and Serena Wang and Rebecca Wang joined All-State Symphony Orchestra. 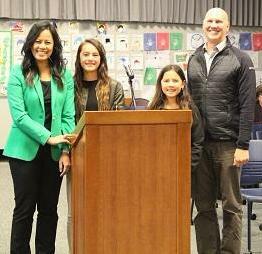 The Board of Education approved Superintendent Jordan's recommendation to name Dr. Jackie Vo Felbinger, currently principal of Curtner Elementary School, as the new Principal for Mabel Mattos Elementary School. She will start her work while remaining at Curtner Elementary as the principal for the remainder of the 2017-18 year. Mabel Mattos Elementary School will open in phases, with the first phase opening in August 2018 to 238 students. Vo Felbinger has been with the District for six years, following her work at Orchard School as Director where she oversaw the construction of a multi learning center. She thanked her staff, the community, and her family, and is excited for the journey in partnering with the Mattos community. 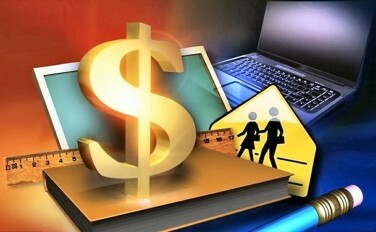 Milpitas Unified School District and the Milpitas Teachers Association (MTA) reached a tentative agreement. In accordance with the Provisions of AB1200. Assembly Bill (AB) 1200 requires local education agencies to publicly disclose provisions of all collective bargaining agreements. The provisions are applicable to both single- and multi-year agreements where the contract has been reopened to determine compensation adjustments in a subsequent year. It is intended to ensure that the public is aware of the known costs associated with a proposed collective bargaining agreement before it becomes binding on the district. The Board approved both resolutions unanimously.